Size: L, Color: Sideline Red (-) is currently out of stock! Size: M, Color: Sideline Red (-) is currently out of stock! 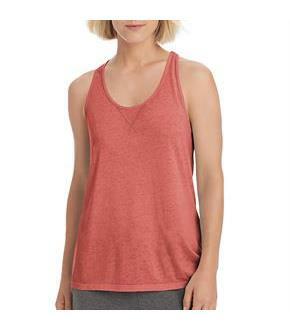 Everything you love about a tank only softer and with a light touch. 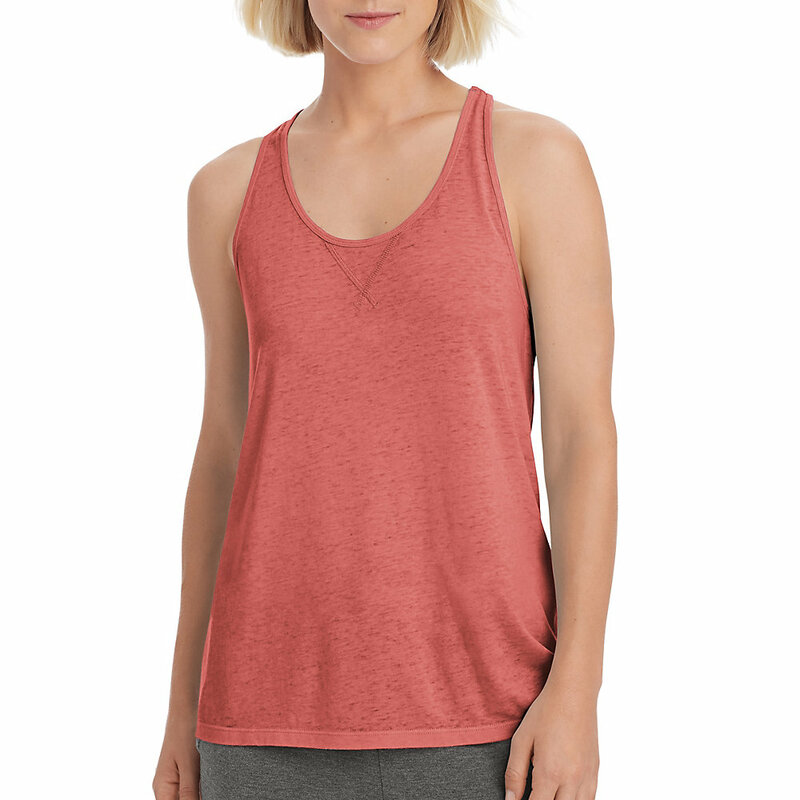 Burnout wash process creates slight variations in color, making this tank anything but basic. Semi-fitted, racerback styling is perfect for layering. Scoop neck with V-notch detail. Signature stripe detail at left shoulder. Droptail hem keeps you covered. Champion script logo C logo at hem.